Growing up can be a jarring experience. You move out into the world and, suddenly, everything you’ve ever known is different. After a while, you get used to it. Life is fluid. That’s just the way the world works. Some things, though, never change. Like Christmas. Although we’re not exactly warm and cuddly, my family has always been close. We push each other’s buttons and drive each other crazy, but have always enjoyed spending time together. Christmas has definitely been different this year, with Grandpa in the hospital. But, in many ways, it’s still the same. As I said in yesterday’s post, no matter what happens, Christmas is still Christmas. Many years ago, before college, I had a moment one Christmas when I realized that it wouldn’t always be like this. There will hit a point when we’re all grown up and have families of our own. We’ll be too far away to come together like we always have. I’m thankful that this hasn’t happened yet. But don’t know what the future holds. I don’t know where I’ll be or what I’ll be doing a year from now. I don’t know if I’ll be home for Christmas. So I’m bound and determined to make the most out of this year’s holiday. I’m going to soak it all in, from the decorations to the carols to the time spent with family, and make memories that will last. Merry Christmas, dear readers! I’m very thankful for each and every one of you. I wish you joy and blessings this holiday season. We’ve come to the final day of Tis the Season. It’s Christmas Eve, my favorite day of the year. But instead of decorating cookies with my younger brother, I’m sitting here pondering the meaning of Christmas. Christmas is many things. It’s a time for family and friends. It’s a time for giving. It’s a time for laughter, for memories, for nostalgia. More than any of those things, though, it’s a time for JOY. For the past few weeks, I’ve been thinking about happiness and joy. At first, the two words appear synonymous. Dictionaries will tell you that they’re the same. But I disagree. Happiness great, but it is fleeting. It’s a state of mind, something that you feel for one moment and then is gone the next. I can chase happiness and something still falls short. The thing about joy, though, is that it runs deep. It sinks into the soul. Down in the core of who I am is a small, indistinguishable flame. When the metaphorical storms of life hit and everything seems to fall apart, joy remains. It is steadfast, unshakable. Where does this joy come from? Easy. It comes from knowing and being known by God. When it comes down to it, that’s what this holiday is all about. The creator of the universe, the almighty God entered into His creation as one of His created. He was born not to the wealth, glory, and splendor He deserves, but is born of a peasant in a barn. He grew up poor and even during the three years He spent teaching, healing, and performing miracles, He was hated and despised by the very people He created. By the very nature of who Jesus is, He deserves honor and praise. But by the people He created, the ones He came to redeem, He received slander, torture, and death. Despite everything, He still loves us. He still wants us. It doesn’t matter how broken we are, He is right there with open arms. He not only provided salvation from our sins, but adopted us as His children. He wants to know us and be known by Him. He doesn’t just want us to know things about Him, to live a life of empty religion, but wants us to know who He is, His character, and His love. It’s intimate, it’s deep, it’s rich… and there for free even though we deserve none of it. Woah. This beautiful intimacy of what we celebrate on Christmas is the essence of JOY. 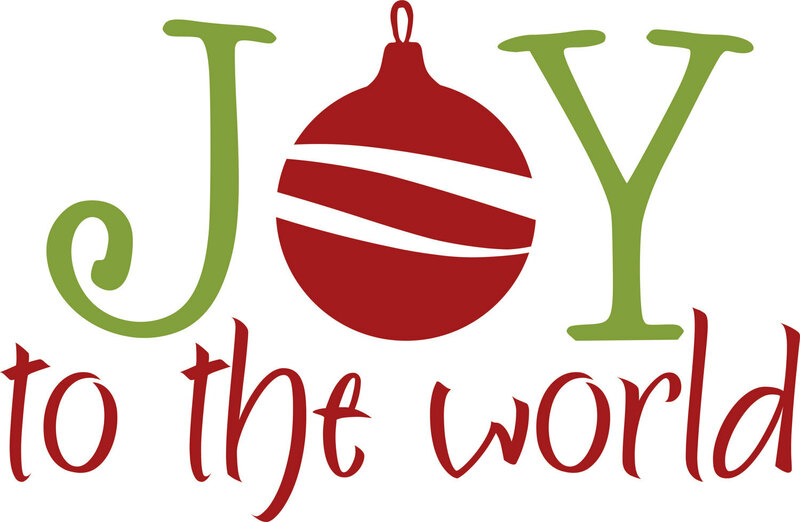 One of the most popular Christmas songs out there is “Joy to the World”. Growing up, I never thought much about the words. This year, though, they resonated in my heart. Although they’re associated with the first coming of Jesus, they’re actually about the second. The words speak of the immense joy that we will have when all is finished and we can physically be with Him once more. The joy is so great that Heaven and Nature sings–even the rocks cannot help but cry out in adoration. What better way to end Tis the Season than with inexpressible, glorious, inexhaustible, steadfast JOY?